Listen to the podcast. Find it on iTunes/iPod and Podcast.com. Read a full transcript. Sponsor: HP. To learn more about McKesson’s innovative use of quality assurance software, we interview Todd Eaton, Director of Application Lifecycle Management Tools in the CTO’s office at McKesson. 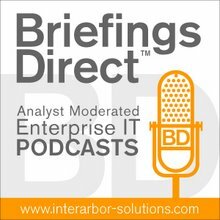 The interview is moderated by Dana Gardner, Principal Analyst at Interarbor Solutions. Eaton: It's one thing that we can test within McKesson. It's another thing when you test out at the customer site, and that's a main driver of this new innovation t hat we’re partnering up with HP. When we build an application and sell that to our customers, they can take that application, bring it into their own ecosystem, into their own data center and install it onto their own hardware. The testing that we do in our labs is a little more controlled. We have access to HP and other vendors with their state-of-the-art equipment. We come up with our own set of standards, but when they go out to the site and get put in to those hospitals, we want to ensure that our applications act at the same speed and same performance at their site that we experience in our controlled environment. We want to make sure that our solutions get out there as fast as possible, so that we can help those providers and those healthcare entities in giving the best patient care that they can. So, being able to test on their equipment is very important for us. Just knowing how many different healthcare providers there are out there, you could imagine all the different hardware platforms, different infrastructures, and the needs or infrastructure items that they may have in their data centers. After further investigation, it became apparent to us that we weren’t able to replicate all those different environments in our data center. It’s just too big of a task. The next logical thing to do was to take the testing capabilities that we had and bring it all out on the road. We have these different services teams that go out to install software. We could go along with them and bring the powerful tools that we use with HP into those data centers and do the exact same testing that we did, and make sure that our applications were running as expected on their environments. Another very important thing is using their data. The hospitals themselves will have copies of their production data sets that they keep control of. There are strict regulations. That kind of data cannot leave their premises. Being able to test using the large amount of data or the large volume of data that they will have onsite is very crucial to testing our applications. The tool that we use primarily within McKesson is Performance Center, and Performance Center is an enterprise-based application. It’s usually kept where we have multiple controllers, and we have multiple groups using those, but it resides within our network. So, the biggest hurdle was how to take that powerful tool and bring it out to these sites? So, we went back to HP, and said, "Here’s our challenge. This is what we’ve got. We don’t really see anything where you have an offering in that space. What can you do for us?" Currently, we have two engagements going on simultaneously with two different hospitals, testing two different groups of applications. I have one site that’s using it for 26 different applications and other that’s using it for five. We’ve got two teams going out there, one from my group and one from one of the internal R&D groups that are assisting the customer and testing the applications on their equipment. We have been able to reduce the performance defects dramatically. We’re talking something like 40-50 percent right off the bat. Some of the timing that we had experienced internally seemed to be fine, well within SLAs. But as soon as I got out to a site and onto different hardware configurations, it took some application tuning to get it down. We were finding 90 percent increases with our help of continual testing and performance tweaks. Items like that are just so powerful, when you are bringing that out to the various customer, and can say, "If you engage us, and we can do this testing for you, we can make sure that those applications will run in the way that you want them to."